This article shows how to run a file-, print-, HTTP proxy- DHCP-, and time server for small and medium enterprises (SME) on one single Debian Sarge system. It is very easy to set up, and management is done with an easy-to-use web interface called eBox so once the system is set up, you can forget about the command line. 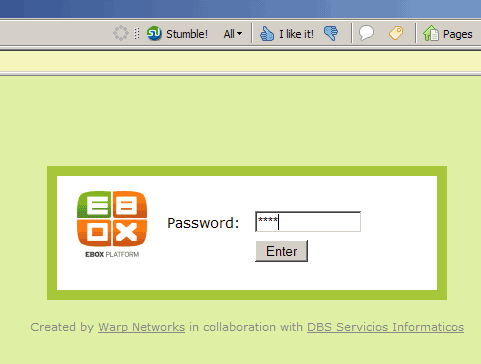 eBox was developed to administrate advanced services for corporate networks, and it was created for Debian Sarge. I assume you have already set up a basic Debian Sarge system. You can set up your system as described on the first two pages of this tutorial: The Perfect Setup - Debian Sarge (3.1). *** dhclient.conf (Y/I/N/O/D/Z) [default=N] ? This is nothing to worry, it happens because the eBox firewall closes port 22 by default. 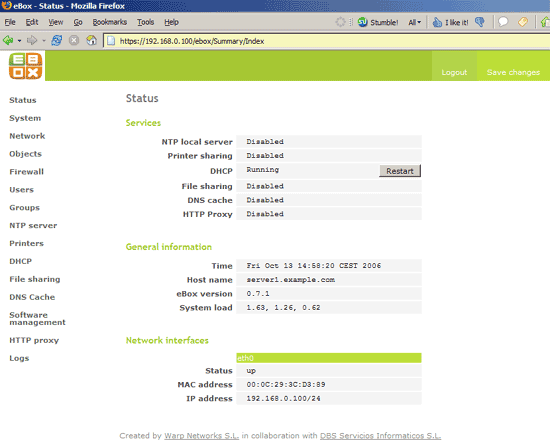 Despite this, the installation is successful, and you can open up port 22 again using the eBox web interface.